Oh yes. I happened upon this awesomeness one late night at home. 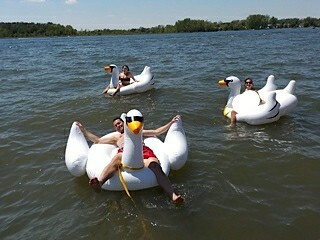 Inflatable swans? Yes please! How many? 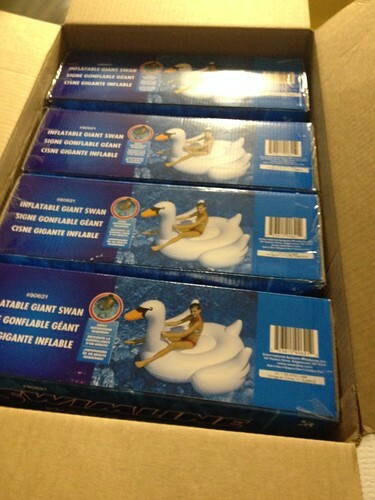 Uh, how many inflatable swans does one need?! I chose 4. Then the magic happened. We got 3 inflated the first night. Had 1 last one to do in the morning. As we are moving them from the garage, Mom and Dad drive up. “High tail it to the front yard!” I’d been keeping this fun secret from them for a month. All they knew was that I needed Dad to make me 4 anchors. The surprise could not be ruined!! 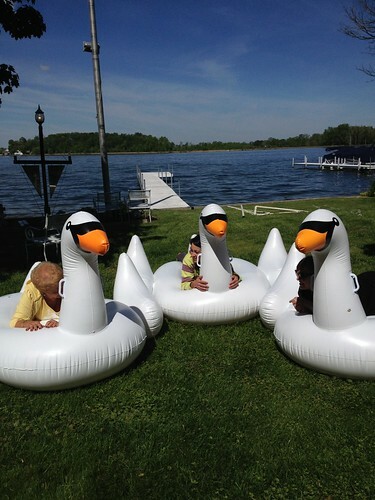 Mom had a WTF moment, then adopted those swans like they were her own. 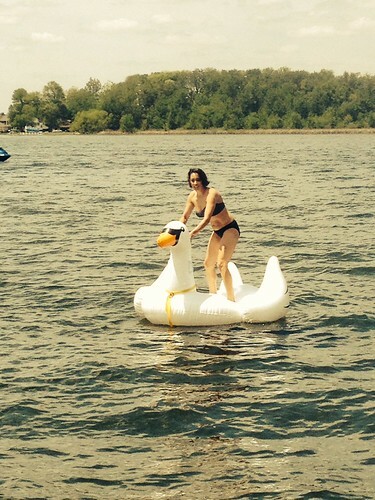 Inaugural launch turned into a swan dive, thanks to commentary by the neighbors. Don’t try to stand on these! Before we could wrap up the day of fishing and fun, the pier needed some major attention. 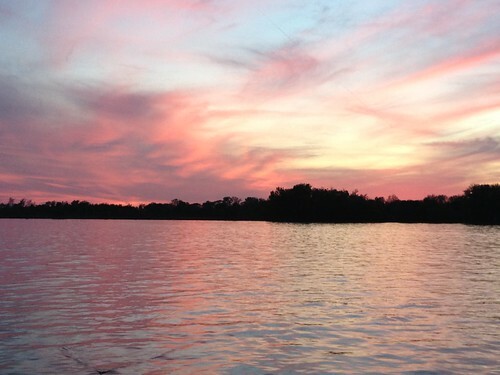 With a canvas like this in sight, I had no problems. Time for a face lift as the sun sets. 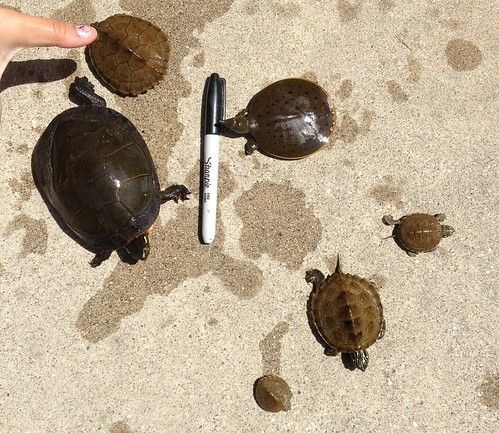 The S-kids wanted to go turtle hunting. Sweet! I get to act like its their idea while I secretly still love it too! How can you not love these little guys! We ended up with 6 ranging from full hand size to quarter size. We also introduced Mom to Heads Up! We do not make good partners 🙂 She cheats. And is multi-tasking. With no kiddos around, no turtle hunting occurred. Until I walked out Sunday morning to check the 2nd coat of paint on the pier. Trying to swim under the paddle boat was a tiny turtle. 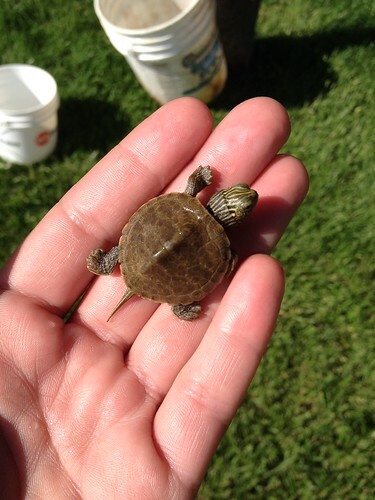 Luckily I was still in my pajama shorts and just hopped right in the lake and snatched him up with my hand! 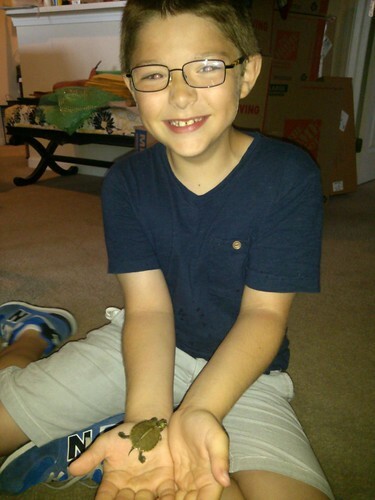 I had no need for him but couldn’t pass up the thrill of catching a turtle! Another animal lover jumped at the chance to take care of Shelly for 2 weeks. He was thrilled! Shelly is in good hands! 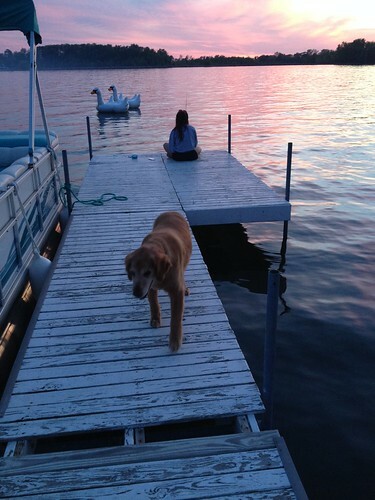 And I’m ready for more lake adventures. It never gets old!